Mother Nature showed us this week who is the boss. 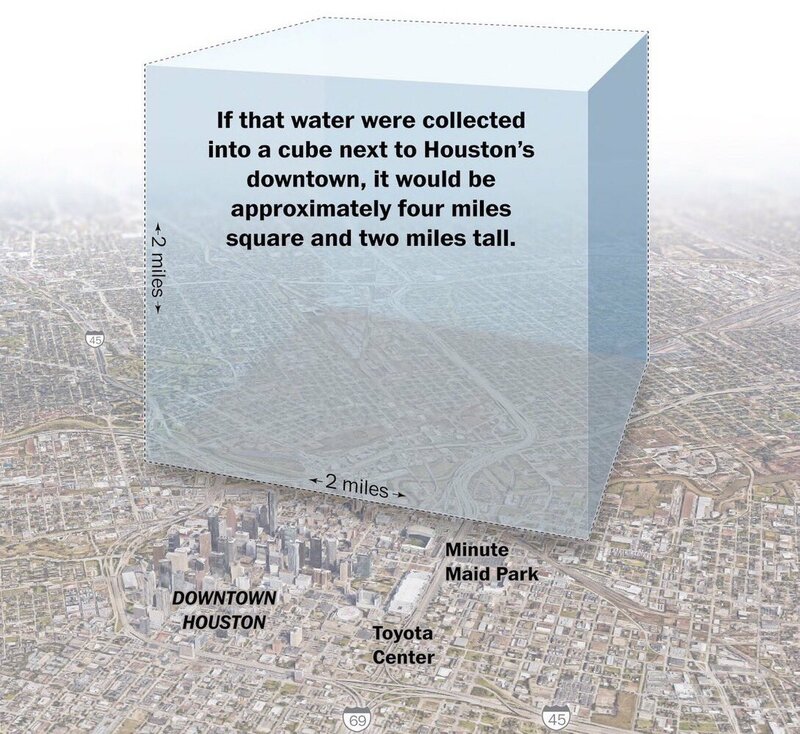 Houston suffered the greatest single attack of water ever seen in American history. Hurricane Harvey was expected; its progress was tracked and we knew when it would hit & where. Yet, the enormity of what happened blew our minds. 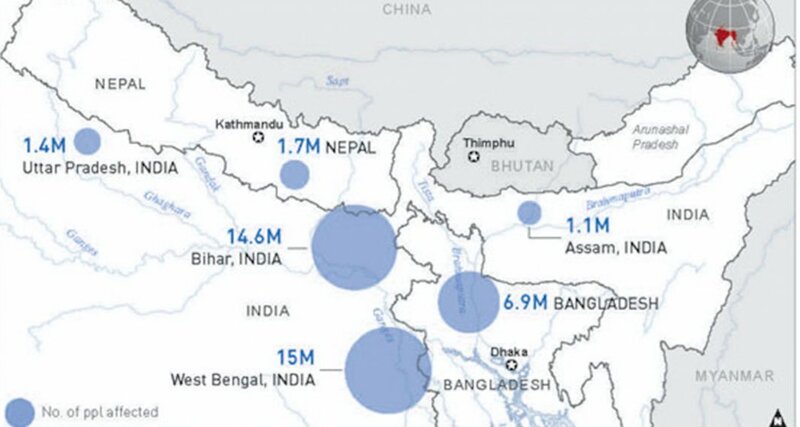 ian bremmer‏Verified account @ianbremmer Aug 31- Historic flooding in South Asia. 3 countries. 857+ dead. 41 million affected. 1 month left in monsoon season. Houston was hit by a hurricane from the sea and the Bihar-Bengal region of the Indian Subcontinent was hit by flooding Himalayan rivers. The message from both is the same – Water needs space. There was no place for this water to go in the concrete-based city of Houston. We all saw the result. The plains of India had enough space for the Himalayan floodwaters to go but that space was where millions of humans lived. When it comes to Mother Nature vs. humans, it is no contest. So how do you create enough & safe space for water? Netherlands, a country with 26% of land under sea level, is trying to a resilient solution. In 1953, a storm tide washed into Netherlands from a swelling Rhine river sweeping over the dikes built to protect Dutch land & people. The tide swallowed up homes, schools, hospitals and claimed over 1,800 lives in the province aptly named Zeeland (Sealand). The Dutch government swore “never again” and began building “a wall mightier, stronger, and longer than any the world had ever seen“. This wall named the Delta Works was a massive 40-year construction project that was called one of the “Seven wonders of the Modern World” by the American Society of Civil Engineers. Guess what happened in 1993 & 1995. The Rhine swelled again, this time from behind the wall. Zeeland flooded again. Over 250,000 people were evacuated and the damage was massive. An analysis showed that the massive wall actually created a much greater risk. According to the Dutch department of water management, “a river flood in Zeeland today could now put four million people at risk“. Now the Dutch government is working on a new approach that is based on making Netherlands “flood resilient” instead of “floodproof“. This project named “Room for the River” accepts the reality that floods are inevitable and the broader reality that “if you fight nature, nature is going to strike back“. The key is to make the flood management system adaptive or capable of reconfiguring instead of making it big, robust and fixed. This is a modern implementation of the old Indian proverb which says “महापुरे झाढे जाती तेथे लवहाळी वाचती” – big trees are washed away in a major flood but small bushes & moss survive. As a Scientific American article describes it, instead of trying to stop the river, the Room for the River project is “redesigning cities” to “remove the bottlenecks” for the river. The article focuses on Nijmegen, the oldest city in Netherlands, located on the Waal river, the biggest river in Netherlands. What is a very short description of the project? The concepts of Resiliency vs. Robustness & Adaptability vs. Predictability have arisen out a relatively new branch of analysis called Complexity Theory that itself grew out of a mistake in an experiment in MIT in 1961. Edward Lorenz, a MIT mathematician & meteorologist, was trying to use computers to analyze weather in 1961. It seemed rational given that predicting tides, eclipses & trajectories of comets had already been accomplished using computer models. As he went out to grab coffee one day, Lorenz entered 0.506 in his computer as input from a printout instead of entering 0.506127, the six decimal place number from the computer itself. When he returned & saw the results, he was stunned – the new result “diverged so wildly from its predecessor” that the pair seemed to be “two random weathers out of hat“. Lorenz found out that an incredibly small event like his rounding off 4-6th decimal places or a flap of a butterfly’s wings can lead to a chain reaction that can create major weather events. Lorenz presented his findings in a paper titled “Does the Flap of a Butterfly’s Wings in Brazil Set Off a Tornado in Texas?“. The bottom line is that Weather is a “Complex” system. The big big point here is the enormous distinction between “complicated” and “complex”, two words that are often used interchangeably. It is this mix up that has led to major disasters like the old systems of flood management in Netherlands, the construction of the Maginot line as defense of France after WWI and, of course, in the portfolio insurance type mechanism used before the 1987 stock market crash. Complicated systems are like aircraft engines which have many many parts that have to function correctly for the engine to work. But these parts are joined meaning “one cog turns, causing the next one to turn as well, and so on“. The thousands of parts of a complicated system behave with other parts in a fixed way. As a result, the behavior of a complicated system is mostly predictable, especially now with AI systems like IBM’s Watson which, as an IBM ad shows, can recommend changing a part before it actually malfunctions. Complex systems are utterly different in that both the number & type of interactions between the component parts can change dramatically & unpredictably creating massive outcomes. This makes Complex systems totally unpredictable. No one can predict which particular snow flake will trigger an avalanche or which hurricane will create a massive storm and which hurricane will dissipate without creating a damage. “… the butterfly’s fluttering leads to a storm only if thousands of other minor conditions are just right. And those conditions are so precise as to be practically immeasurable, rendering the outcome unpredictable“. Despite the formulation of these concepts of Complex systems, no one has been able to build the correct Mathematics to analyze these systems. Until that is done, weather will continue to be an unpredictable system. The only solution we have today is to make adaptable, resilient systems to mitigate the impact of events from such complex systems instead of trying to predict them and trying to stop them using fixed big brittle or robust systems. Meaning build systems that enable the a reaction or outbreak to dissipate naturally instead of trying to bottle it. Meaning don’t try to bottle up water; give it space or channels to dissipate naturally. Talking Is Not the Answer! Because America-North Korea Are Talking At Cross-Purposes?